“Jean-Michel Basquiat” is a retrospective exhibition featuring 70 works by Jean-Michel Basquiat dating from 1980-1987. It is the inaugural exhibition in the Brant Foundation’s New York City location on the Lower East Side. This stunning exhibition is SOLD OUT after garnering rave reviews from publications such as The New York Times. 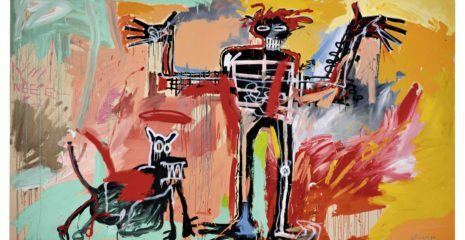 Thanks to Franklin Street Works collegial relationship with the Brant Foundation, Art Engaged members will enjoy exclusive access to a private tour of “Jean-Michel Basquiat” on a “private day” reserved for arts professionals. ©️Estate of Jean-Michel Basquiat. Licensed by Artestar, New York.